We recognize that in order to create inclusive environments, our programs and services need to be accessible to those with disabilities. Our staff have taken leadership roles in researching and implementing ways to enhance web usability for learners of all abilities. We are committed to continually improving the accessibility of our programs, whether it is through online mediums or our face-to-face programming. Robust – Content must be robust enough that it can be interpreted reliably by a wide variety of user agents, including assistive technologies. This means that users must be able to access the content as technologies advance (as technologies and user agents evolve, the content should remain accessible). We are aware that many areas of our website still require improved accessibility. We are currently working to achieve this. We hope that this website will achieve “Level AA” conformance to the Web Content Accessibility Guidelines (WCAG) 2.1 by December 2020. Web accessibility is critically important for education. If students with disabilities cannot access course content that is vital to their understanding of the material, it can have a negative effect on their entire academic experience. PDCE believes in a proactive approach to accessibility. Rather than simply reacting to problems, we seek to anticipate and remove potential barriers in our courses, and to respond quickly to additional changes that may prove necessary. As you plan and design your online course, spend some time learning more about web accessibility and how you can create a good online experience. When you build a site with accessibility in mind, you create a more usable and intuitive site for all students, regardless of their abilities or disabilities. Accessibility in Online Learning, 2006. Accessibility in Online Learning: Audio and Video, 2007. 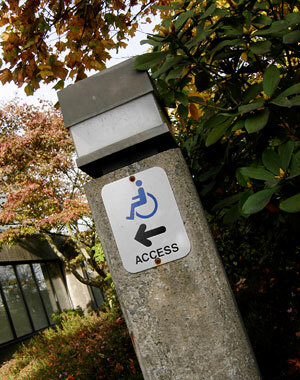 At UBC, many of the needs of students with disabilities, taking courses on campus, are addressed by Access & Diversity. They provide accommodations and services to help overcome disability-related challenges that could interfere with a student’s academic success. If you find that some aspect of your PDCE online course is inaccessible to you, or if you would like to suggest an area in which the accessibility could be improved, please contact us at pdce.educ@ubc.ca.